In an effort to close the gap on a $250,000 budget deficit, Columbia County's public transit department, CC Rider, is proposing a 38 percent service reduction, cutting routes and rearranging services in some areas. If approved, the changes would cut down on the number of buses going to and from Portland each day, while reducing the number of trips on another line serving Scappoose and St. Helens, in addition to other changes. 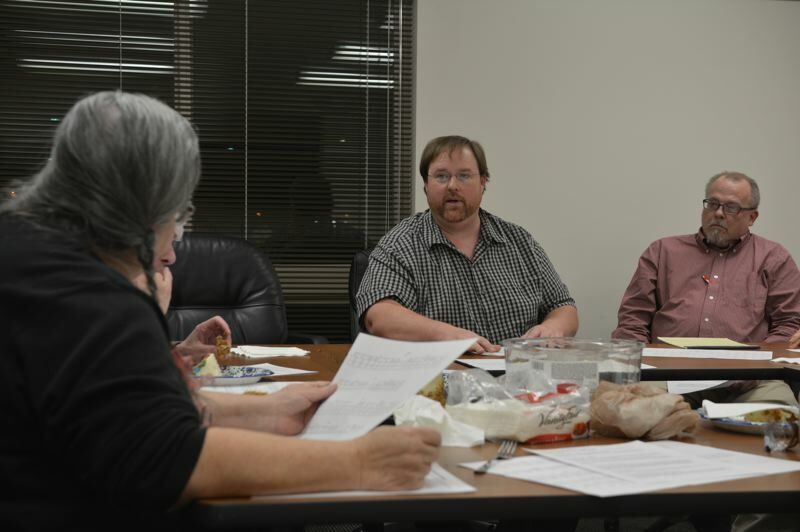 Members of the county's transit advisory committee met in an emergency special meeting Wednesday evening, Dec. 12, to review proposed changes before sending them along to Columbia County commissioners for review. Todd Wood, CC Rider's transit manager, said each bus route was carefully looked at and evaluated for ridership before route cuts were pitched. "We've cut this down to the sheer number of runs that we believe we can afford," Wood told committee members. "We have a gap of about $250,000 annually if we do nothing. We will continue to lose about $250,000 a year." CC Rider staff say part of the agency's current budget issues stem from a couple of years prior, when services were increased without grant funding to back them. As proposed, service reduction options would cut the Portland line from 14 total daily trips to seven, with four trips in the morning each hour beginning at 5 a.m. Three more evening trips would be arranged, beginning at 4 p.m., to try to continue serving working commuters, CC Rider staff said. A line serving Portland Community College Rock Creek campus students would offer four trips a day, rather than six, and the Flex line serving parts of Scappoose and St. Helens would be revised to eliminate runs at noon and 4:30 p.m. Wood said that route only sees about three to four people per trip. Lack of ridership has plagued CC Rider, which contracts with another agency to provide all of its drivers, maintenance and most other operations. CC Rider staff say contract negotiations are approaching, and they expect the new hourly costs to jump from the current rate of $40 to as much as estimates of $65 per hour of service provided. To brace for higher costs and budget gaps, Wood said cutting routes is the only logical way to reduce expenses. "We've been cutting since I can remember on this," Bill Eagle, a transit committee member, said Wednesday. "We're not just cutting down to the bone, we're amputating limbs at this point. People don't understand that other people's lives depend on this (service)." Eagle said many county residents criticize the agency for not being self-sufficient, but noted that no transit agency in the country is self-sustaining. Many are subsidized by a taxing district, whereas CC Rider relies entirely on state and federal grants. Sharon Evinger, chair of the committee, applauded the proposal to make a bus line in Vernonia demand-based only, meaning riders would need to call ahead and request bus service, rather than relying on fixed route service. If the cuts are approved by county commissioners, it could bring the agency's current annual costs of $1.18 million down to under a million.